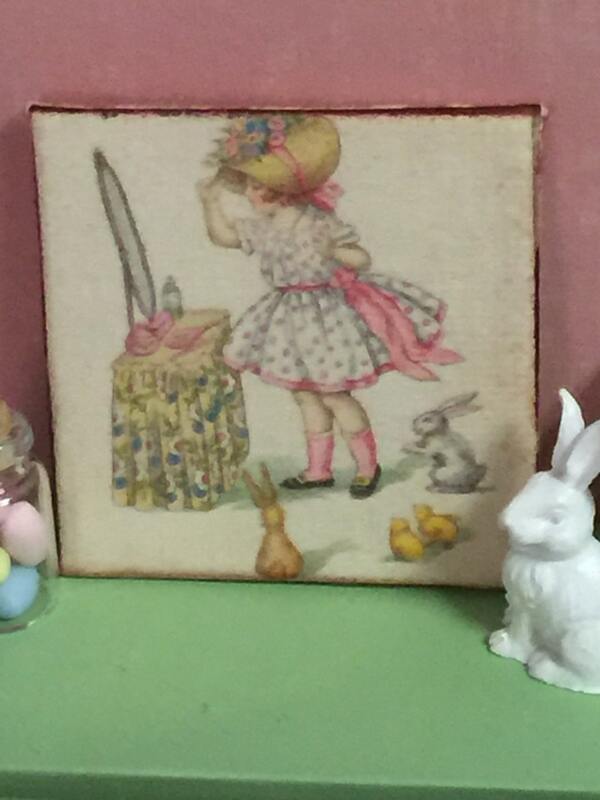 Vintage Easter Girl Canvas Picture - 2" x 2"
Love this distressed vintage picture of a little girl adjusting her Easter bonnet as the bunnies and chick look on. 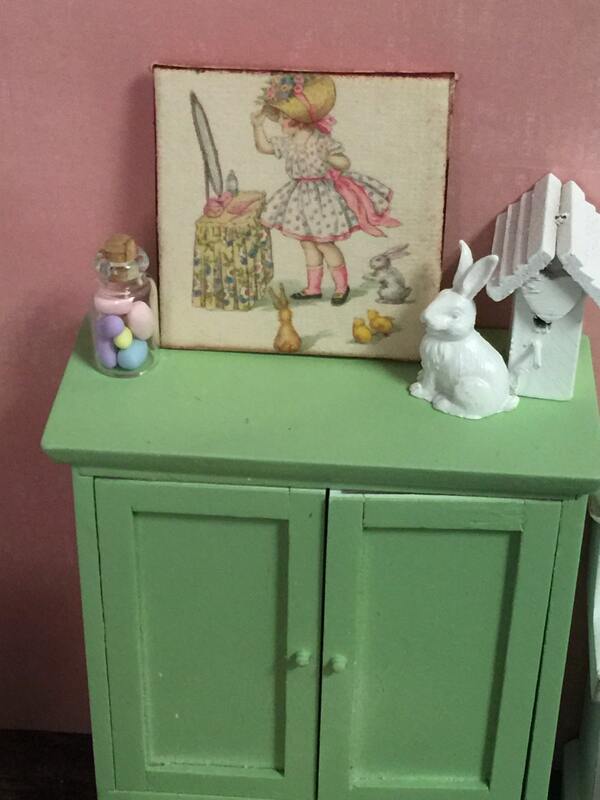 Vintage look picture is embellished onto a 2" x 2" canvas. Top protective coat. My grown 'little' girls will just love this canvas !! !